When you talk about digital disruption on businesses, the music industry, television and movies usually come to mind. You can subscribe to music services and subscribe to media channels to get your content on-demand and in a pay as you go model. Which is all very friendly for the customer and end-user. Think Spotify, Netflix and Hulu. As enterprise software moves to the cloud, that same subscription model comes into play. Enterprise customers pay as they go and can leave at any time. Trying out cloud software is often a very easy proposition making the evaluation of an online application a five minute commitment and some convenient clicks away. Think about the benefits being ascribed to cloud software: easy to use, low/no software maintenance costs, no infrastructure commitment needed. 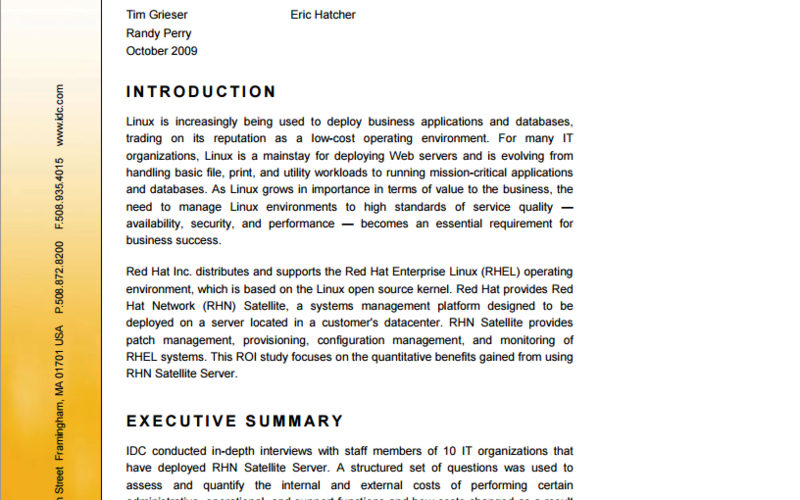 Red Hat and its Enterprise Linux support contract follows a subscription model but the cloud takes it one step further. And in this customer-friendly software model, the business and marketing implications are huge. The days of slick marketing with product sheets and lavish screen shots along with over-promising features and benefits have passed. I remember back in the days of the first dot.com boom. Vaporware and bug-ridden software in pretty boxes being marketed aggressively and with little regard for facts. At the core of the cloud and subscription model is the shift of power to the customer and end-user. Any gaps or weaknesses in your offerings and the marketing behind it will be uncovered quickly once the prospect tries your cloud software out. And if not discovered through the customer trial, it will happen after purchase resulting in negative customer feedback available on social media and other online forums. How long do you think that customer will stay with you if you inaccurately market your offering? The cloud software business is really about a new customer-centric software delivery model. And in the end, it really makes a lot of sense. Better products designed to work more effectively for customers and delivering promised results. And there’s no hiding as your customer moves through the consideration and purchase cycle. You have to earn their business every day, before, during and after purchase. That includes all stages of your marketing and a refreshed emphasis on software consumption and customer retention plans. Earning your customer’s trust isn’t always easy but in today’s world of cloud-based software, it’s never been more important for B2B technology marketing….